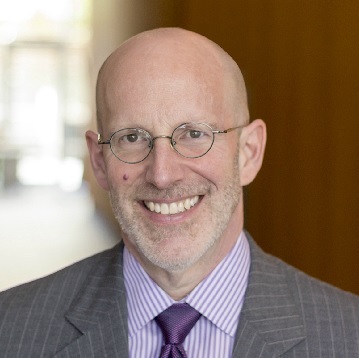 Marcus Noland, executive vice president and director of studies, has been associated with the Peterson Institute since 1985. From 2009 through 2012, he served as the Institute's deputy director. His research addresses a wide range of topics at the interstice of economics, political science, and international relations. His areas of geographical knowledge and interest include Asia and Africa where he has lived and worked, and the Middle East. In the past he has written extensively on the economies of Japan, Korea, and China, and is unique among American economists in having devoted serious scholarly effort to the problems of North Korea and the prospects for Korean unification. He won the 2000–01 Ohira Memorial Award for his book Avoiding the Apocalypse: The Future of the Two Koreas. Noland was educated at Swarthmore College (BA) and the Johns Hopkins University (PhD). He was previously a senior economist at the Council of Economic Advisers in the Executive Office of the President of the United States. He has held research or teaching positions at Yale University, the Johns Hopkins University, the University of Southern California, Tokyo University, Saitama University (now the National Graduate Institute for Policy Studies), the University of Ghana, the Korea Development Institute, and the East-West Center. He has received fellowships sponsored by the Japan Society for the Promotion of Science, the Council on Foreign Relations, the Council for the International Exchange of Scholars, and the Pohang Iron and Steel Corporation (POSCO). Noland is the author of Korea after Kim Jong-il (2004), Avoiding the Apocalypse: The Future of the Two Koreas (2000), Pacific Basin Developing Countries: Prospects for the Future (1990); coauthor of Confronting the Curse: The Economics and Geopolitics of Natural Resource Governance (2014), The Arab Economies in a Changing World, Second Edition (2011), Witness to Transformation: Refugee Insights into North Korea (2011), The Arab Economies in a Changing World (2007), Famine in North Korea: Markets, Aid, and Reform (Columbia University Press, 2007), Industrial Policy in an Era of Globalization: Lessons From Asia (2003), No More Bashing: Building a New Japan–United States Economic Relationship (2001), Global Economic Effects of the Asian Currency Devaluations (1998), Reconcilable Differences? United States-Japan Economic Conflict with C. Fred Bergsten (1993), and Japan in the World Economy with Bela Balassa (1988); coeditor of Pacific Dynamism and the International Economic System (1993); and editor of Economic Integration of the Korean Peninsula (1998). In addition to these books he has written many scholarly articles on international economics, US trade policy, and the economies of the Asia-Pacific region. He has served as an occasional consultant to organizations, such as the World Bank and the National Intelligence Council, and has testified before the US Congress on numerous occasions.